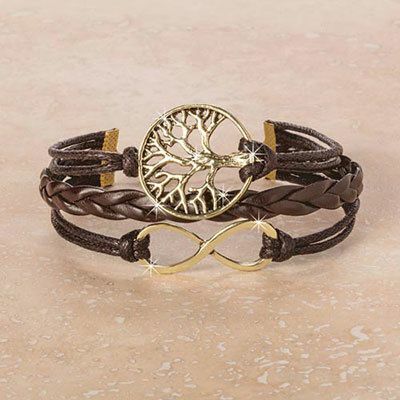 Many cultures say that the twin symbols of Infinity and the Tree of Life impart all their wisdom and power to the wearer. Rustic and exotic, the antique gold-finish charms are held securely by three rich chocolate-brown, faux leather straps. Lobster-claw clasp. 8"l with 2" extender.